Quick blog about another range i think is amazing value for organic products. I am a massive fan of Organic products and SLS and paraben free products! My hair is fine and naturally curly and for years it was a bit of a frizz ball at back of my neck and i hated it so bad, i hated to touch it or have anyone else work with my hair, so glad i ditched the SLS the difference in my hair is incredible and i actually like it now, it feels totally different now and more like the real hair its meant to be . The Dr Organic Hair Treatment Serum is amazing, it relaxes the curl a little, stops frizz in its tracks and gives me lovely healthy looking glossy hair, a couple of drops massaged through the ends is all that is needed. It has so many oils in it and i could be wrong but i do not get that horrible plasticky feeling on my hair that i have had from a lot of other serums. At 100 ml my last bottle kept going for at least a year..so for me its money well spent @ £14.99 but Holland and Barrett always have special offers on like 3 for 2 ect and money is never wasted on this brand, it has far too many different ranges of products to mention ! Like my Dr Organic Monoi Moisture Melt Body Oil, incredibly soothing, hydrating and of course it smells fantastic too, @ £9.49 for something pure its a steal! The oil is solid inside the bottle when you buy it, pop it in a cup of hot water while you bathe and it will deliver to you fresh, slightly warm silky layer of mega hydration to your skin, ends of your hair, cuticles , tootsies or anywhere you need it really and it’s the perfect fresh scent for summery holidays with a nice little hit of lemon and coconut. 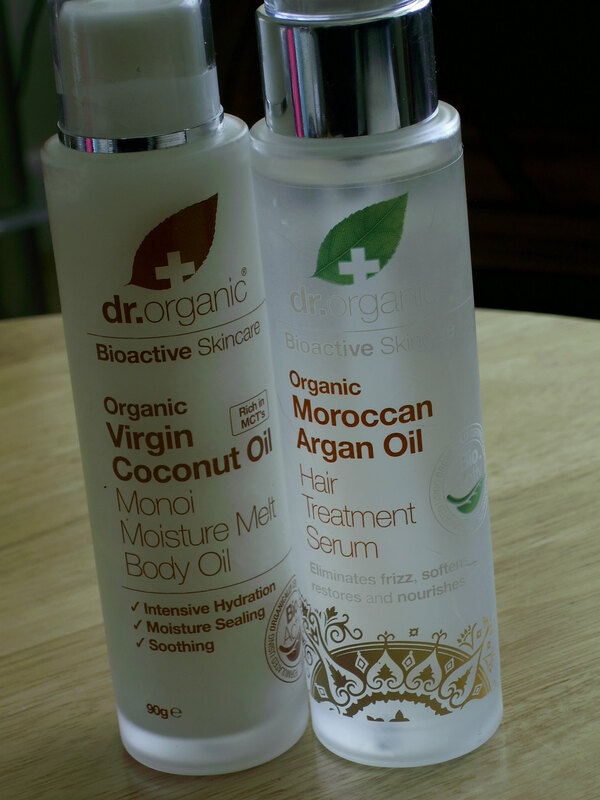 This entry was posted in Health and Beauty and tagged Dr Organic, Hair Serum, Holland and Barrett, Hydrating, Organic, Silky, Virgin Coconut Oil on July 22, 2014 by the40somethingbeautyblogger.